Dental implants are metal posts or frames that are positioned surgically into your jawbone beneath. Implants are titanium screws that are used to support false teeth, replacing the root of the tooth. Dentures and bridges can also be mounted to implants. For many patients, ordinary bridges and dentures are not comfortable. For other patients, dentures and bridges may not even be possible, because of poor ridges, sore spots or gagging. Adjacent teeth are not touched when positioning new implants. No need to prepare or grind down other teeth to accommodate your implants, and hold them in place. (unlike ordinary bridges which have to be attached to teeth on either side. To be a candidate for dental implants, patients should be in good overall health and have strong and healthy gums and jaw bone. Cancer, uncontrolled diabetes, or uncontrolled gum disease may affect your dental implants. Similarly, smoking or drinking too much alcohol, as well as certain medications, may increase the risk that your implants will not fuse to the bone. 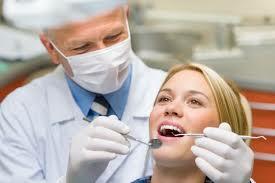 Make sure your dentist has your full medical history beforehand. To properly maintain your implants it is important to remember good oral hygiene, including regular brushing & flossing. Of course, regular maintenance appointments with your dentist and hygienist to are important to properly clean your implants as well. This will ensure that your implants will be long-lasting.